Although many Chicago-Kent College of Law graduates stay in the Chicago after graduation, we know that some of you are considering practicing in another state whether for a summer or permanently. Job searching outside your current geographic area can be difficult, but it's certainly not impossible! The tips below are provided to make your out-of-town job search simpler. If you should encounter any difficulties in your search, please contact your assigned Career Adviser for assistance with your out-of-state job search. Each state has different requirements to practice law in that jurisdiction. Make sure that you determine exactly which requirements must be met prior to practicing law in that state. The ABA website, www.abanet.org contains a nationwide directory of bar admission offices. In addition, a guide to bar admission requirements is published by the ABA and is available in the Career Services Office Resource Center. If you are planning on starting your own practice, make sure to ask about insurance requirements and any limitations on marketing or advertising as well. Request reciprocity from a local law school's career services office. Reciprocity is available to current students and those students who have graduated within the past year. For more information, e-mail or call your Career Adviser. To apply for reciprocity at another law school you must complete a Reciprocity Request Form, which details necessary timing issues and limits on reciprocity. This form is available at our office and on our website. We do sometimes receive job listings from out of state employers, which we list in our job posting system, Symplicity. If you do not currently have a user name and/or password for Symplicity, please email kentcso@kentlaw.iit.edu. Also, consider setting up a Search Agent in Symplicity that will email you when jobs in your preferred geographic location are entered into the system. To do that, run an "Advanced Search" under the Jobs tab, but be sure to click the dark gray "Save As" box at the top of the form and give your search a name. After you've run the search, go to the "Search Agent" tab and schedule your search to run daily, weekly or several times a month. The results will come to your kentlaw email address. Our office and the Chicago-Kent Library also keep books related to the out-of-state job search generally and certain geographic areas specifically. Ask a librarian or CSO staff member for assistance in identifying and locating these resources. Get comfortable with the BYU Intercollegiate Job Bank, a clearinghouse for entry level legal opportunities around the country. To access the BYU Job Bank, go to the Document Library in Symplicity and click the link. The user name and password will be provided to you along with a second link that will take you to the BYU website. From there, select "Find a Job" and then "Intercollegiate Job Bank." You will be asked for the user name and password previously provided. After entering that information, you will see a drop-down list of all 50 states. Selecting a state will give you links to the various law schools in that state that participate in the Job Bank. Make sure to check all the schools in your preferred state, as well as nearby states and bigger top 10 schools (like University of Michigan) that get listings from all over the country. Find publications that cater to attorneys in that city and read them! (Even better, subscribe). These will be the equivalent of the Chicago Daily Law Bulletin or the Chicago Lawyer. Use these publications (and the Lexis News directory) to research trends in the area such as changes in patterns of hiring and attrition, salary shifts, and even changes in local laws and procedures. Most of them should also contain job leads, law firm advertisements, annual "top firm" awards or listings, etc. Hand in hand with local legal publications in terms of information on practicing in a given area are the local bar associations. In addition to the larger state bar associations, many bigger cities have their own (e.g. the Chicago Bar Association). Many locales also have specific ethnic and minority bar associations, women-specific bar associations, and practice area-specific bar associations. Consider joining more than one or ask an alumnus in the area which bar associations are the most active. Bar associations are a wealth of information about topics including Continuing Learning Education (CLE) classes; upcoming speakers and events; and additional helpful local legal publications offered by the association; i.e., Chicago Lawyers' Court Handbook from the Chicago Bar Association. Many bar associations also have websites including job postings and pro bono opportunities (see "Volunteering" below). The best way to search for a job in a new community is to go there. If you can tell an employer when you will be in the area on a specific date the employer is more likely to set up an interview with you. Remember that success rates go up if you have a connection to the area or a good reason for relocating to that area that you can share when asked. Take advantage of winter and spring breaks, the summer and any other opportunity you can find to actually be on location. Volunteer, get a short-term job, conduct informational interviews (see Informational Interviewing), go to local alumni events or bar association events, etc. Try to paint that location all over your resume before it's time to interview for a permanent job. Employers will be wary of those making drastic changes without a clear commitment to the change; so show them your commitment in your words and actions. In your cover letter and resume and during interviews, let others know you didn't just choose this area out of a hat (even if you did). Be able to clearly articulate why you chose this city, at this time, and what you have to offer. Let them know that you are registered to sit for the bar exam or that you have family living in the area. Help them to see that you have a real connection to their city. Scan the homepage for that city or state (most places have such a page often geared towards visitors or tourists) to find important information about government positions or just to determine the livability of the area. Conduct an Internet search for employers; Google or Yahoo can be good for this purpose. Research local attorneys and firms using tools such as Lexis, Westlaw or Martindale (www.martindale.com). 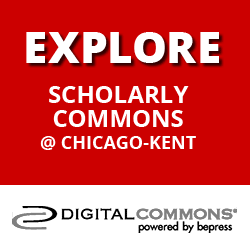 If you are searching on the Martindale website, do an advanced search to identify alumni in that city or state (you can do this by filling "Chicago-Kent" on the "Law School Attended" slot). Use the information you find to send letters or request informational interviews. Continually checking job posting sites will provide a steady stream of currently available positions. If you possess 75 percent or more of the qualities being sought, apply for the position. Know that the employment process can take up to two months, so begin applying two months prior to your availability. Some candidates make a case for the "equivalent experience" in their cover letters so if you do not have a degree requested or the exact number of years listed, explain why your experience qualifies you anyway. Conduct an internet search and use print resources to identify job fairs in the geographic area of your choice. Participate in these fairs even if you do not receive a scheduled interview through the bidding process. The fairs often have lottery spots to fill and receptions and table talk opportunities. You cannot be shy about making these types of events work for you. Consider trying to get a clerkship in the state or city you wish to practice in following graduation. This will allow you a year or two to get familiar with the area, make connections with local lawyers and familiarize yourself with state laws. Judicial clerkships are a wonderful way to learn the local court system from the inside and introduce yourself to the local bar. Spend a few weeks in your city of choice over a break or an entire summer doing pro-bono work with a non-profit organization. If you do not get the summer job of your dreams, instead of taking a non-legal job in Chicago, get a job in the city in which you want to live after law school. Perform pro-bono work during the day and work at night to pay the bills. You will be making connections and getting that all important legal experience you need to be marketable in any legal community. Use your involvement in the local bar associations as a starting point. 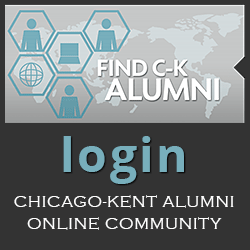 Identify alumni using the online Chicago-Kent Alumni Advisor Network, which has a geographical index. You may want to consider calling the C-K Office of Alumni Relations (312) 906-5246 to identify additional alums in a given city. Don't forget to call your undergraduate Career Services Office as well to identify alumni who are lawyers in the area. Search Martindale (see above) for attorneys in the area from either Chicago-Kent or your alma mater. Most states require Continuing Legal Education (CLE) credits and this is a great way to meet attorneys in the area and those who practice the type of law you are interested in pursuing. Mingle, mingle, mingle! Check local bar association pages for cheap or free CLEs in that area. If you are visiting the area while still a student, CLE courses are free or offered at a reduced price to those still in school. Once you have located alums, conduct informational interviews, but do not limit yourself to only alumni. If you read an article from the local paper that interests you and it mentions a local attorney, call him/her to set up an informational interview. If there is a firm you know you want to target, browse the firm website looking for recent victories, large deals, etc. and then contact an attorney involved. Any connection you might have to that person should be used as basis for requesting an informational interview. For more information about this type of interview see the Informational Interviews section of the CSO website. Most states do not have a comprehensive list of small and medium sized law firms, and finding this information for an out-of-state job search can often be difficult. Some firms are too small to be captured by Martindale or other search sites. Contacting the Chamber of Commerce in your city of choice is one way to search for pertinent information on smaller firms or firms in smaller towns. 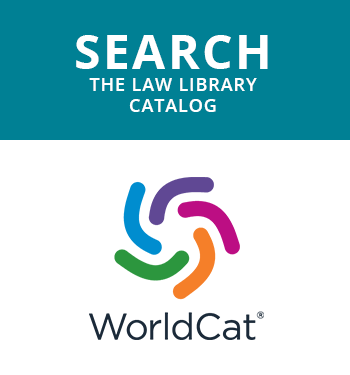 In addition to requesting reciprocity at one local school, access the web pages of ALL the local area law schools. Most local attorneys will only access their own school's information, if even that much. Law schools, in an effort to recruit students, will often provide unrestricted access to their pages. The pages usually contain: job search strategies; networking ideas and opportunities; and, if you're lucky, there are a few which do not restrict access to their job postings. Most large cities have legal temping firms that can help you find temporary or contract work. Some of these positions can become permanent positions, and you'll benefit by meeting local attorneys who can become part of your job search network. The Career Services Office does not endorse specific search firms and does not recommend continuous legal temp work beyond 6-9 months unless you decide to make that your career path. Lawyers who temp for too long tend to find it difficult to find permanent positions. Also, make sure that you keep looking for a permanent position even if you obtain a longer term temporary placement. Even if you sent in an application or an unsolicited resume and have not heard back, consider letting a favorite employer know when you will be in the city. Detail your plan for following up with the employer in your voicemail (e.g. "I will be in Atlanta this week for other interviews and would love to meet with you. I will give you a call on Monday when I arrive to see if you might have time to meet."). You are forecasting your confidence and willingness to follow through. If there is a Chicago-Kent alumnus/a in the firm, you may wish to send a letter or email to that individual saying you would welcome the opportunity to stop in and say hello as well. This allows the alumnus/a to become an in-firm advocate for you if he or she so chooses. Persistence pays off in an out-of-town job search as does accurate record keeping and follow through. Keep track of who you have contacted, when that contact was made and when you intend to follow up. Cast a wide net and understand your first job may not be the "perfect fit." Once you are hired, you can develop skills and contacts that will lead to the next job. Remember that the Career Services Office can help you every step of the way, and we look forward to working with you.